This 40-page booklet contains information about what happens during an Emmaus weekend, what participants should expect, and how Emmaus can help congregations. It answers the most frequently asked questions about Emmaus, the Emmaus community, and Emmaus follow-up groups (reunion groups). 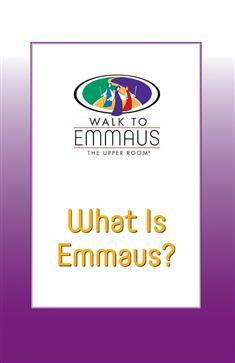 A great resource for those considering attending an Emmaus weekend retreat.